Mohammad Javad Zarif is an Iranian diplomat and politician and the current Minister of Foreign Affairs in the Rouhani administration. He has held various significant diplomatic and cabinet posts since the 1990s. Zarif is also an associate professor at the University of International Relations in Tehran, teaching diplomacy and international organizations. He was the Permanent Representative of Iran to the United Nations from 2002 to 2007. 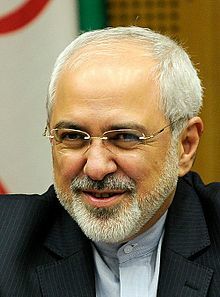 Zarif has held other domestic and international positions as well: adviser and senior adviser to the Foreign Minister, Deputy Foreign Minister in Legal and International affairs, member of the prominent personalities of the Dialogue Among Civilizations, Head of the UN Disarmament Committee in New York, member of the prominent personalities of global governance, and Deputy in International Affairs of the Islamic Azad University. Please note that the space for this event is limited. we limit the number of times a non-member can attend Network 20/20 events to one.